Every client’s goals are different when it comes to choosing where to retire, but from a tax perspective, there are some clear winners that can allow a client to maximize the value of accumulated retirement savings. Banca Privada d’Andorra Money Laundering Billions for Corruption and Human Traffickers? FinCEN’s action also describes the activity of a second high–level manager at BPA in Andorra who accepted exorbitant commissions to process transactions related to Venezuelan third–party money launderers. This activity involved the development of shell companies and complex financial products to siphon off funds from Venezuela’s public oil company Petroleos de Venezuela (PDVSA). BPA processed approximately $2 billion in transactions related to this money laundering scheme. Katke was a registered broker-dealer and managing director at RBS Securities Inc. As part of the scheme, Katke and his co-conspirators made misrepresentations to induce buying customers to pay inflated prices and selling customers to accept deflated prices for CLO bonds, all to benefit RBS. Commerzbank Admits to Sanctions and Money Laundering Violations, Will Pay $1.45 Billion Penalties! Vu was arrested by Dutch law enforcement in Deventer, Netherlands, in 2012 and extradited to the United States in March 2014. The European Commission presented a package of tax transparency measures as part of its ambitious agenda to tackle corporate tax avoidance and harmful tax competition in the EU. A key element of this Tax Transparency Package is a proposal to introduce the automatic exchange of information between Member States on their tax rulings. Corporate tax avoidance is thought to deprive EU Member States’ public budgets of billions of euros a year. It also undermines fair burden-sharing among tax-payers and fair competition between businesses. Companies rely on the complexity of tax rules and the lack of cooperation between Member States to shift profits and minimise their taxes. Therefore, boosting transparency and cooperation is vital in the battle against aggressive tax planning and abusive tax practices. The Tax Transparency Package aims to ensure that Member States are equipped with the information they need to protect their tax bases and effectively target companies that try to escape paying their fair share of taxes. The central component of the Transparency Package is a legislative proposal to improve cooperation between Member States in terms on their cross-border tax rulings and it aims to mark the start of a new era of transparency. Currently, Member States share very little information with one another about their tax rulings. It is at the discretion of the Member State to decide whether a tax ruling might be relevant to another EU country. As a result, Member States are often unaware of cross-border tax rulings issued elsewhere in the EU which may impact their own tax bases. The lack of transparency on tax rulings is being exploited by certain companies in order to artificially reduce their tax contribution. To redress this situation, the Commission proposes to remove this margin for discretion and interpretation. Member States will now be required to automatically exchange information on their tax rulings. The Commission proposes to set a strict timeline: every three months, national tax authorities will have to send a short report to all other Member States on all cross-border tax rulings that they have issued. Member States will then be able to ask for more detailed information on a particular ruling. The automatic exchange of information on tax rulings will enable Member States to detect certain abusive tax practices by companies and take the necessary action in response. Moreover, it should also encourage healthier tax competition, as tax authorities will be less likely to offer selective tax treatment to companies once this is open to scrutiny by their peers. The Commission will examine the feasibility of new transparency requirements for companies, such as the public disclosure of certain tax information by multinationals. The objectives, benefits and risks of any such initiative need to be carefully considered. Therefore, the Commission will assess the impact of possible additional transparency requirements to help inform a decision at a later stage. The Code of Conduct on Business Taxation is one of the EU’s main tools for ensuring fair corporate tax competition. It sets out the criteria that determine whether a tax regime is harmful or not and it requires Member States to abolish any harmful tax measures that go against the Code. Member States meet regularly to assess their compliance with the Code. But over the past years, the Code has become less effective in addressing harmful tax regimes as its criteria do not take into account more sophisticated corporate tax avoidance schemes. The Commission will therefore work with Member States to review the Code of Conduct as well as the mandate of the Code of Conduct Group in order to make it more effective in ensuring fair and transparent tax competition within the EU. The Commission, along with Eurostat, will work with Member States to see how a reliable estimate of the level of tax evasion and avoidance can be reached. There is growing evidence that evasion and avoidance are pervasive and cause significant revenue losses. However, a precise quantification of the scale and impact of these problems has not been determined up to now. Reliable statistics of the scale and impact of these problems would help to better target policy measures against them. The Commission is proposing to repeal the Savings Tax Directive, as this text has since been overtaken by more ambitious EU legislation, which requires the widest scope of automatic information exchange on financial accounts, including savings related income (IP/13/530). Repealing the Saving Tax Directive will create a streamlined framework for the automatic exchange of financial information and will prevent any legal uncertainty or extra administration for tax authorities and businesses. The two legislative proposals of this package will be submitted to the European Parliament for consultation and to the Council for adoption. Member States should agree on the Tax Rulings proposal by the end of 2015, so that it can enter into force on 1 January 2016. Given that the European Council in December 2014 called on the Commission to make this proposal, full political commitment on reaching a timely agreement should be expected. The next milestone will be an Action Plan on Corporate Taxation which will be presented before the summer. This second Action Plan will focus on measures to make corporate taxation fairer and more efficient within the Single Market, including a re-launch of the Common Consolidated Corporate Tax Base (CCCTB) and ideas for integrating new OECD/G20 actions to combat base erosion and profit shifting (BEPS) at EU level. Available in one form or another since the mid-1970s, individual retirement arrangements (IRAs) are designed to enable employees and self-employed people to save for retirement. Contributions to traditional IRAs are often deductible, but distributions, usually after age 59½, are generally taxable. Though contributions to Roth IRAs are not deductible, qualified distributions, usually after age 59½, are tax-free. Those with traditional IRAs must begin receiving distributions by April 1 of the year following the year they turn 70½, but there is no similar requirement for Roth IRAs. Most taxpayers with qualifying income are either eligible to set up a traditional or Roth IRA or add money to an existing account. To count for 2014, contributions must be made by April 15, 2015. In addition, low- and moderate-income taxpayers making these contributions may also qualify for the saver’s credit when they fill out their 2014 returns. see Can an individual roll over or convert a traditional IRA or other eligible retirement plan into a Roth IRA? Eligible taxpayers can contribute up to $5,500 to an IRA. For someone who was at least age 50 at the end of 2014, the limit is increased to $6,500. There’s no age limit for those contributing to a Roth IRA, but anyone who was at least age 70½ at the end of 2014 is barred from making contributions to a traditional IRA for 2014 and subsequent years. The deduction for contributions to a traditional IRA is generally phased out for taxpayers covered by a workplace retirement plan whose incomes are above certain levels. For someone covered by a workplace plan during any part of 2014, the deduction is phased out if the taxpayer’s modified adjusted gross income (MAGI) for that year is between $60,000 and $70,000 for singles and heads of household and between $0 and $10,000 for married persons filing separately. For married couples filing a joint return where the spouse who makes the IRA contribution is covered by a workplace retirement plan, the income phase-out range for the deduction is $96,000 to $116,000. Where the IRA contributor is not covered by a workplace retirement plan but is married to someone who is covered, the MAGI phase-out range is $181,000 to $191,000. see When Are IRA Funds Taxed? The deduction for contributions to a traditional IRA is claimed on Form 1040 Line 32 or Form 1040A Line 17. Any nondeductible contributions to a traditional IRA must be reported on Form 8606. Even though contributions to Roth IRAs are not deductible, the maximum permitted amount of these contributions is phased out for taxpayers whose incomes are above certain levels. The MAGI phase-out range is $181,000 to $191,000 for married couples filing a joint return, $114,000 to $129,000 for singles and heads of household and $0 to $10,000 for married persons filing separately. For detailed information on contributing to either Roth or traditional IRAs, including worksheets for determining contribution and deduction amounts, see Publication 590-A, available on IRS.gov. Also known as the retirement savings contributions credit, the saver’s credit is often available to IRA contributors whose adjusted gross income falls below certain levels. For 2014, the income limit is $30,000 for singles and married persons filing separate returns, $45,000 for heads of household and $60,000 for married couples filing jointly. Eligible taxpayers get the credit even if they qualify for other retirement-related tax benefits. Like other tax credits, the saver’s credit can increase a taxpayer’s refund or reduce the tax owed. The amount of the credit is based on a number of factors, including the amount contributed to either a Roth or traditional IRA and other qualifying retirement programs. Form 8880 is used to claim the saver’s credit, and its instructions have details on figuring the credit correctly. see High-income clients able to fund Roth IRAs? Commerzbank Admits to Sanctions and Money Laundering Violations, Will Pay $1.45 Billion Penalties! The individual shared responsibility provision in the Affordable Care Act calls for you and your dependents to have qualifying health care coverage for each month of the year, qualify for a health coverage exemption, or make an Individual Shared Responsibility Payment when filing your federal income tax return. In general, the annual payment amount is the greater of a percentage of your household income or a flat dollar amount, but is capped at the national average premium for a bronze level health plan available through the Marketplace. You will owe 1/12th of the annual payment for each month you or your dependents don’t have either coverage or an exemption. If you must make a payment, you can use the worksheets located in the instructions to Form 8965, Health Coverage Exemptions, to figure the shared responsibility payment amount due. Continuing its enforcement push against refund fraud and identity theft, the Internal Revenue Service announced this week (IR 2015- 37) the Top Ten Identity Theft Prosecutions for Fiscal Year 2014 (FY14). The ongoing efforts to bring identity thieves to justice remains a significant priority as part of the IRS’s comprehensive identity theft strategy focusing on preventing, detecting and resolving identity theft cases as soon as possible. 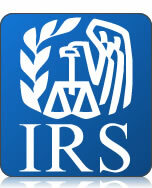 In fiscal year 2014, the IRS initiated 1,063 identity theft related investigations. Criminal Investigation enforcement efforts resulted in 748 sentencings as compared to 438 in FY 2013, an increase of 75 percent. The incarceration rate rose 7.1 percent to 87.7 percent. The courts also imposed more jail time in 2014, with the average months of those being sentenced rising to 43 months as compared to 38 months in FY 2013. The longest sentence was 27 years. During FY 2014, Criminal Investigation dedicated significant time and resources to bringing down identity thieves attempting to defraud the federal government. The nationwide Law Enforcement Assistance Program provides for the disclosure of federal tax return information associated with the accounts of known and suspected victims of identity theft with the express written consent of those victims. There are now more than 755 state/local law enforcement agencies from 47 states participating. Since the start of the program, more than 6,776 requests were received from state and local law enforcement agencies. The Identity Theft Clearinghouse (ITC) continues to develop and refer identity theft refund fraud schemes to CI Field Offices for investigation. Since its inception in FY 2012, it has received over 7,600 individual identity theft leads. These leads involved approximately 1.47 million returns with over $6.8 billion in refunds claimed. CI continues to be the lead agency that investigates identity theft and is actively involved in more than 78 multi-regional task forces or working groups including state, local and federal law enforcement agencies solely focusing on identity theft. CI has one of the highest conviction rates in all of federal law enforcement — at 93.4% — and is the only federal law enforcement agency with jurisdiction over federal tax crimes. CI is routinely called upon to be the lead financial investigative agency on a wide variety of financial crimes including international tax evasion, identity theft and transnational organized crime. read about the top 10 at International Financial Law Prof Blog. The ISIL phenomenon shows a new type of terrorist organisation with unique funding streams that are crucial to its activities; cutting off this financing is therefore critically important. 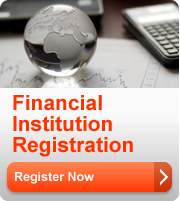 FinCEN has launched a Web page to assist those individuals and institutions required to file a Report of Foreign Bank Account (FBAR). While the non-Roth after-tax contribution option offered wealthy clients a way to increase their 401(k) account values in the past, it did little to mitigate the current or future tax bite. The increasingly widespread availability of in-plan Roth 401(k) rollovers, however, has changed the retirement income planning landscape, creating new opportunities for higher income clients who wish to truly maximize their 401(k) contributions using after-tax dollars. How Does HSBC Group CEO Avoid Paying UK Tax ? Non-dom status can confer several tax advantages on those who claim the status compared with those domiciled in the UK. These include advantages in how inheritance tax is applied, but can also exempt worldwide income earned from outside the UK from incurring UK taxes – a system known as the remittance basis. Bloomberg reported that — The SEC is preparing sanctions against as many as two dozen immigration lawyers, people familiar with the matter said, for collecting deal fees from foreign investors trying to access the EB-5 visa program, which grants U.S…. The Seychelles became the 85th signatory of the Multilateral Convention on Mutual Administrative Assistance in Tax Matters. Will a New Fiduciary Standard Fix the Advisor-Client Conflict of Interests for Retirement Accounts? Sequence of return risk is one of these critical, yet too often overlooked, decumulation-stage issues that can make or break your client’s retirement income withdrawal strategy—luckily, this type of risk can often be diminished by incorporating annuities into the mix, safeguarding the client’s retirement resources in the process. On 1 February, the IRS published its second 2015 FATCA GIIN list of “approved FFIs” (a list of the financial firms that have registered on the IRS FATCA portal). This is the analysis of that list. The Treasury Department made sparks fly when it recently issued final regulations governing qualified longevity annuity contracts (QLAC). In its 9th Health Care Tax Tip, the IRS emphasized how a taxpayer may obtain and claim exemption from health care coverage required by law under the Affordable Care Act (Obama Care). The Affordable Care Act requires you and each member of your family to have minimum essential coverage, qualify for an insurance coverage exemption, or make an individual shared responsibility payment when you file your federal income tax return. If a taxpayer meets certain criteria, then the taxpayer may claim to be exempt from the requirement to have “qualifying health coverage”. If the taxpayer is found to be exempt, then the taxpayer will not have to pay the tax penalty called a “shared responsibility payment” when filing the 2014 federal income tax return. But for any month that the taxpayer does not qualify for the exemption, then the taxpayer will need to have minimum essential coverage for that month or pay a month’s worth of penalty. A taxpayer may seek exemption from coverage depending upon the type of exemption for which the taxpayer may be eligible. A taxpayer can obtain some exemptions only from the Health Care Marketplace, while others exemptions may be claimed when filing the annual tax return. A taxpayer must claim or report coverage exemptions on Form 8965, Health Coverage Exemptions, and attach it to Form 1040, Form 1040A, or Form 1040EZ. Health Care Marketplace Exemption Certificate Number If a coverage exemption is granted from the Health Care Marketplace, then the Market Place will send a notice with a unique Exemption Certificate Number (ECN). The taxpayer must enter the ECN in Part I, Marketplace-Granted Coverage Exemptions for Individuals, of Form 8965 in column C. If the Marketplace has not sent the ECN before a taxpayer files a tax return, then the taxpayer must complete Part I of Form 8965 and enter “pending” in Column C for each person listed. If a taxpayer claims the exemption on the tax return, then the taxpayer does not need an ECN from the Marketplace. With the tax filing season underway, most exemptions for 2014 are only available by claiming them on the tax return. If the taxpayer’s income is below the tax filing threshold and thus the taxpayer is not required to file a tax return, then the taxpayer is eligible for an exemption and does not have to file a tax return to claim it. But if the taxpayer chooses to file a tax return, the taxpayer must use Part II, Coverage Exemptions for Your Household Claimed on Your Return, of Form 8965 to claim a health coverage exemption. Other IRS-granted coverage exemptions may be claimed on your tax return using Part III, Coverage Exemptions for Individuals Claimed on Your Return, of Form 8965.